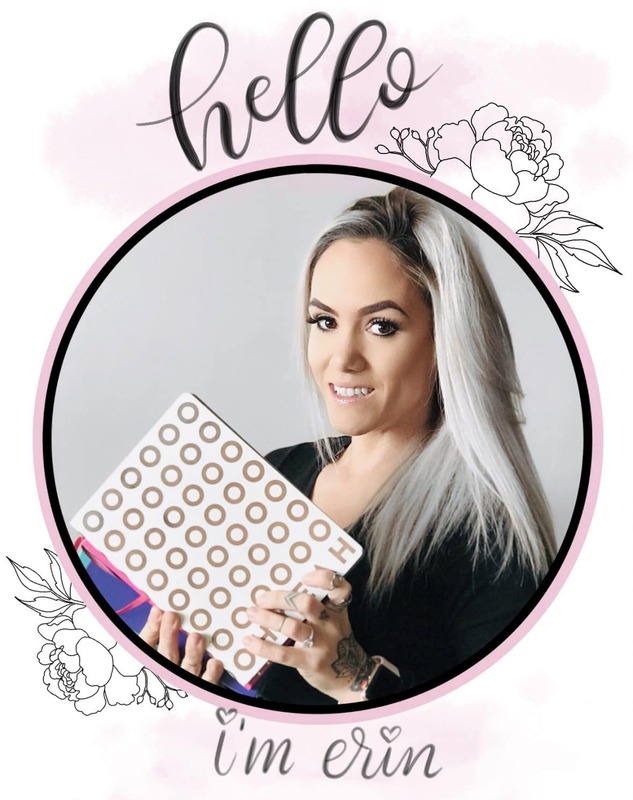 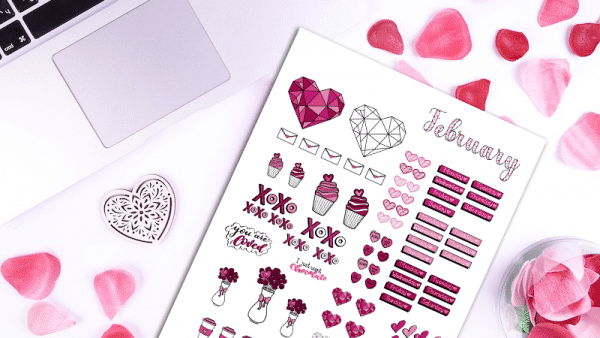 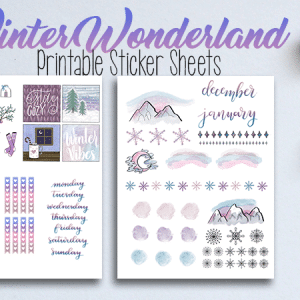 Decorate your bullet journal or planner for Valentine’s Day with this themed printable February Sticker Pack! 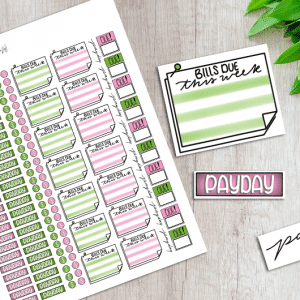 Over 100 stickers in total, including daily headers, heart numbers, and a fancy monthly header. 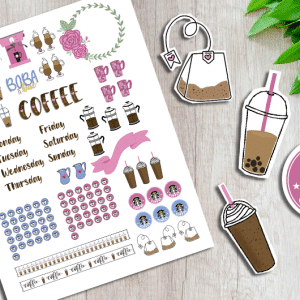 Plus lots of decorative stickers! This February Sticker Pack includes 105 stickers in total, including daily headers, one monthly header, and heart numbers. 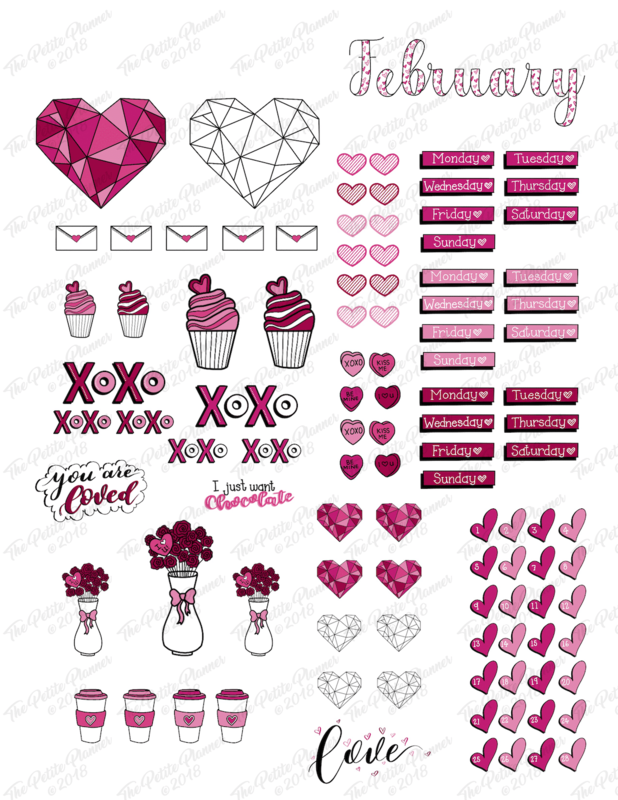 Plus, lots of fun Valentine’s Day themed decorative stickers.